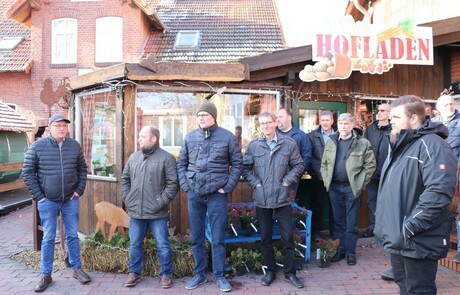 At the end of this year's Carrot Forum, Henning and Anja Holste opened the doors of their farm shop in Martfeld. The participants of the Carrot Forum were impressed by the abundant supply of fresh vegetables and processed products. The direct marketing of potatoes, strawberries and asparagus began in the 1980s, initially out of the garage. "We have grown in steps, but continuously," said Henning Holste. In 2012, the small sales room developed into a farm shop, selling not only its own products but also regional products from the surrounding area. As the assortment grew and the home-made cakes and pies became more and more in demand, the Holstes decided to set up a small farm café. Encouraged by the success, even a pastry chef was hired. 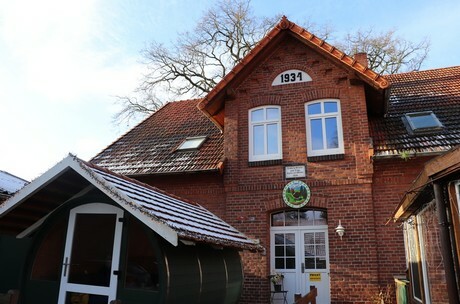 In 2017, the hall of the home in Lower Saxony was rebuilt. Not only their own products but also jams, liqueurs and soups are presented on self-tiled shelves and tables from old farm wood. The participants of the Carrot Forum also got an insight into the production in the field. Henning Holste does many things differently from other farmers. He grows his 15 ha carrots in special beds, that are 100 cm wide at the bottom and 80 cm at the crest. The beds are 166 cm apart. "That way I can put a bed between the tractor wheels," explains Holste. He has set the gauges of his tractors accordingly. The carrots are sown in double rows. Between these rows, there are drip hoses. "Our light soils can not do without irrigation," says Holste. And this was never more true than in the extremely dry year of 2018. However, the drip hoses only last a year. Holste: "Our water is iron-rich, so the hoses become clogged over time." Last year, the fact that the tubes did not last long had another reason as well, reveals Holste: "The crows pecked holes in the tubes to take a little shower." Holste got the idea for the beds system from asparagus cultivation, which used have a larger proportion with regard to cultivation on the farm. Today, only one hectare of this vegetable is being cultivated. Holste even grows potatoes in beds. The soil warms up faster in these early beds, so that the first potatoes can already be harvested at the end of April. Holste has the pregerminated tubers all sown by hand, even the late varieties. This takes no longer than with a machine. Holste: "The planters were traveling at 1.2 km/h on the field. Two workers can put one hectare of potatoes into the pre-punched holes in one day. "The process is not even more expensive than machine planting," says Holste. On the other hand, when harvesting the carrots, he relies entirely on technology. Two years ago he bought a special carrot harvester from a Belgian manufacturer, which was designed according to his ideas. What is striking, is the large work platform behind the Rodebereich. As soon as the carrots have left the clamping band, they are washed. For this, there is a 1500 liters water supply in the front of ​​the machine. Then they are bundled and packed in boxes that are immediately loaded into the trolleys - that is what the large platformis for. Once the trolleys have been filled, the harvester returns to the yard with the goods ready for sale. From the point of view of Henning Holste, the procedure has great advantages in terms of economy, as it allows him to save on labor. "I would prefer it when the tractor would drive by itself only to turn on the headlands manually." 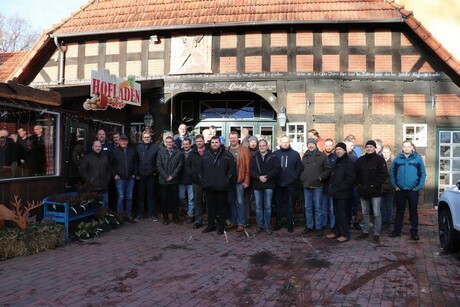 Holste emphasizes that the workers are well protected from the weather by a tarpaulin After all, the last carrots are cleared just before Christmas.